PLÖTSLIGT HÄNDER DET! Boken jag länge letat efter, dyker upp och dessutom i en fyndlåda till ett superpris!!! Color is a powerful selling tool. It is the first thing to catch the consumer's eye in the shop window. Get the color choice wrong and an entire range can stay on the racks. So, how do colors arrive on the runway or the sales floor and why do different companies all seem to choose similar colors each season? The answer lies in the work of the huge color forecasting industry. 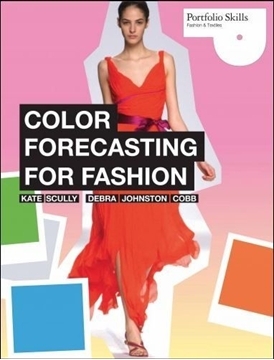 Color Forecasting for Fashion breaks down the forecasting process—from how to put together a color palette to color theory and the way that colors behave—and helps you to build the combination of research and intuitive skills that a successful designer or forecaster needs.